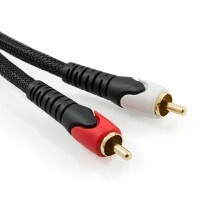 If you're looking to obtain the highest level of performance from your audio system, selecting a quality Stereo Cable (Interconnect) can often be one of the most important factors. These superb cables will provide the highest level of performance at a fraction of the price that such quality would usually demand. Enjoy flawless audio with absolutely no compromise, and more importantly without the exotic price tag. 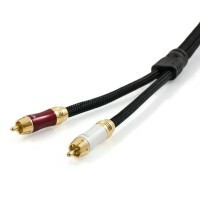 For those that seek audio perfection, these cables will provide the highest level of transparency possible. Even if you're just looking for a reasonably priced cable that will not compromise system performance, here you will find a cable that is perfect for any setup requirement.